Paris attacks suspect Salah Abdeslam has been shot and arrested in a police raid in the Molenbeek area of Brussels, after four months on the run and an international manhunt. “We got him,” the Belgian secretary of state for asylum and migration tweeted, confirming reports in the Belgian press that Abdeslam had been caught alive. French president François Hollande earlier said an operation was under way in Brussels linked to the Paris attacks. Gunshots and explosions were heard in the Molenbeek area. The police operation in Molenbeek was launched just as Belgian prosecutors confirmed that Abdeslam’s fingerprints had been found at a flat that was raided in the Forest area of Brussels on Tuesday. Two suspects fled that raid. Prior to the Molenbeek raid, Belgian federal prosecutor Eric Van der Sypt said it had not been established how old the fingerprints were, or how long Abdeslam had spent in the apartment. When French and Belgian police arrived to search the flat on Tuesday, they were met with gunfire from automatic weapons from behind the door. A police sniper shot one of the gunmen through a window: Mohamed Belkaïd, a 35-year-old Algerian living illegally in Belgium and known to police for a theft case in 2014. “Next to his body was a Kalashnikov, a book on Salafism and an Islamic State flag,” according to Thierry Werts, of the Belgian federal prosecutor’s office. Abdeslam, a 26-year-old French national who grew up in Brussels, fled Paris for Belgium by car hours after the 13 November attacks that killed 130 people. Police believe he played a key role in the logistics of the Paris attacks and escorted the three suicide bombers who blew themselves up at the Stade de France as part of the coordinated attacks. Investigators are also considering whether he planned to carry out his own suicide attack in the 18th arrondissement of the French capital, and perhaps backed out. His brother blew himself up and died at a Paris bar on Boulevard Voltaire during the attacks. 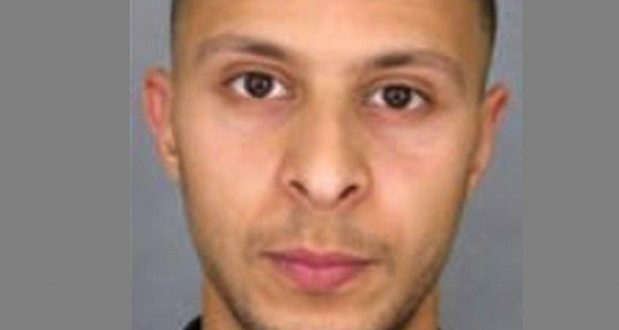 Abdeslam had called friends to drive to collect him in Paris hours after the attacks. While they were driving him back to Belgium, the car was briefly stopped at the French-Belgian border and Abdeslam’s ID was checked, but he was allowed to continue through to Belgium and has been on the run ever since, the focus of an international manhunt. Abdeslam reportedly stayed holed up in an apartment in the Schaerbeek district in north Brussels for three weeks after the Paris attacks. In January, Belgian authorities said they had found two apartments and a house used by Abdeslam and other suspects in the run-up to the attacks. A fingerprint belonging to Abdeslam was found in one apartment along with traces of explosives, possible suicide belts and a drawing of a person wearing a large belt. Authorities also found DNA traces from Bilal Hadfi, another of the attackers who blew himself up with a bomb vest near the French national stadium during the November attacks.